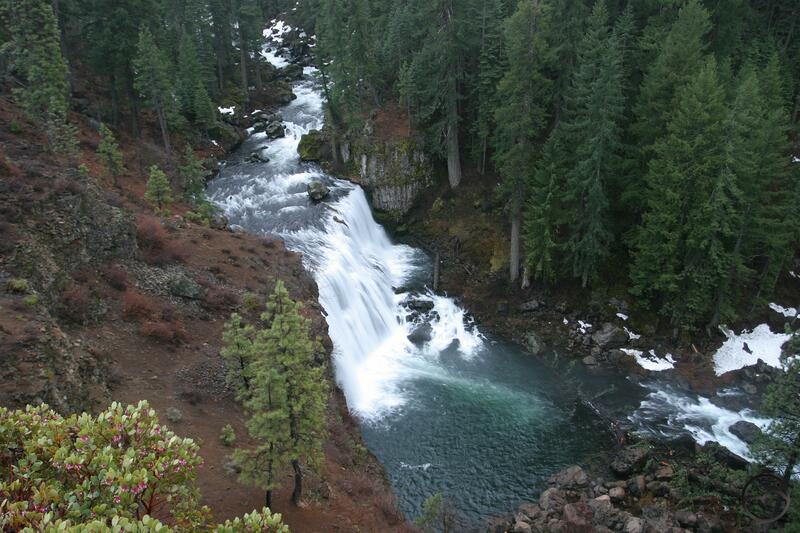 Click here for the companion article on hikes along the Lower McCloud River. 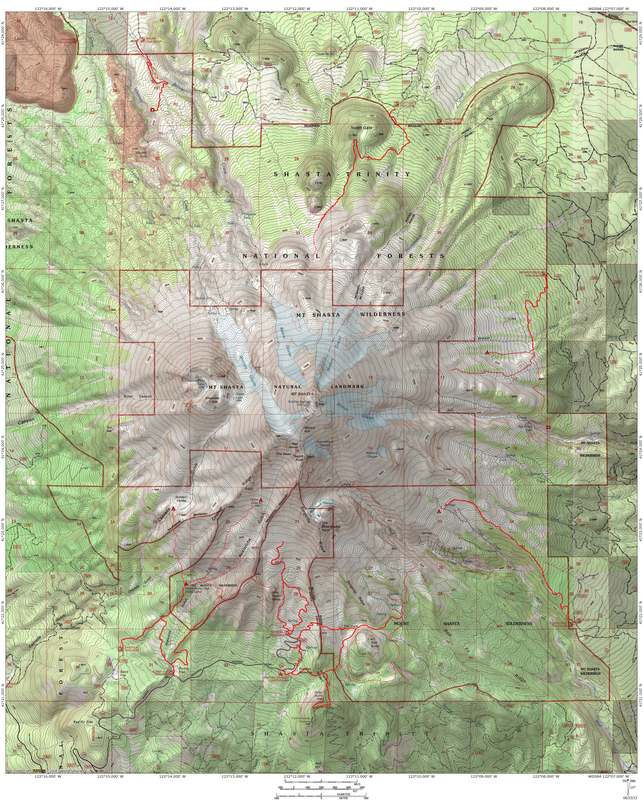 This link has a lengthier discussion of the entire McCloud River Trail with more links to detailed trail descriptions. As spring comes to the Mount Shasta area, many trails become more accessible to hikers hungry to enjoy the warmer weather and some beautiful scenery. 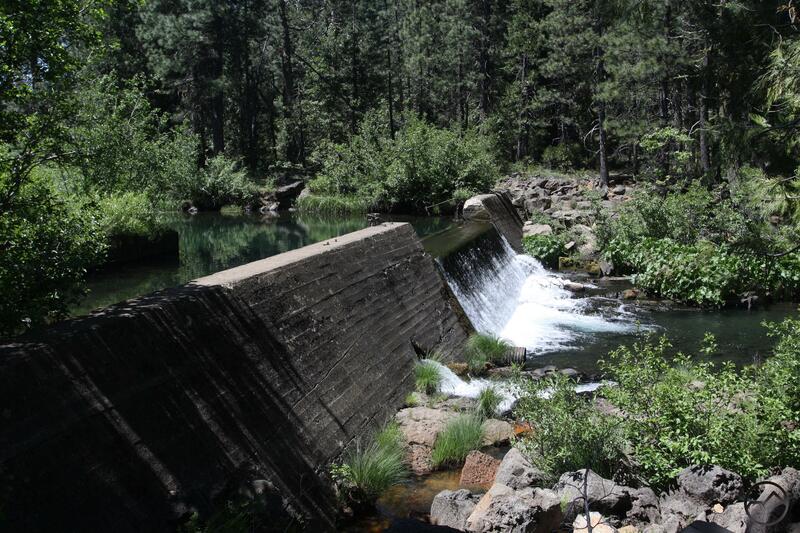 One of the top destinations is the excellent McCloud River Trail. Roughly 15 miles long, stretching from Algoma Campground to just below Lower McCloud Falls, this trail runs parallel to the McCloud nearly its entire length. Along its length, it sees the river start as a smaller creek sized water wayand transform into a large, surging force, embellished by springs and tributaries. Springtime sees the rivers volume engorged by recent rainsa and the melting snow. Later in the spring the leaves return to the trees and the Indian ruhbarb flower and life springs anew, adding even more flair to the already gorgeous landscape. 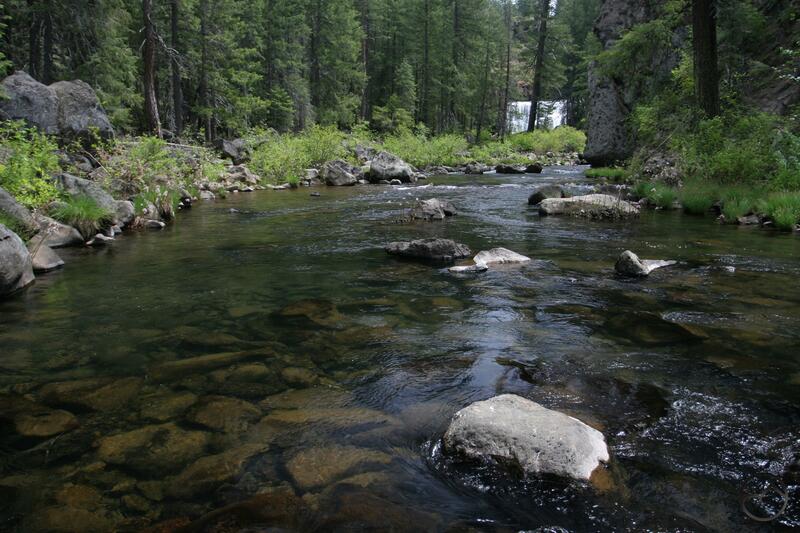 The McCloud River Trail can be broken up into six sections, each making a reasonable out-and-back day hike. The sections are surprisingly different, with each offering different features and environments. While they are all worth exploring, this article will feature four of the best sections that are highlights in the spring. It should also be noted that the spring is often the first time that the McCloud River Trail is accessible due to snow. In light snow years, it is often easy to reach the trailheads but in heavy years, this can be a challenge or impossible. Since the roads between Highway 89 and the river are not plowed, the river may at times be totally cut off. 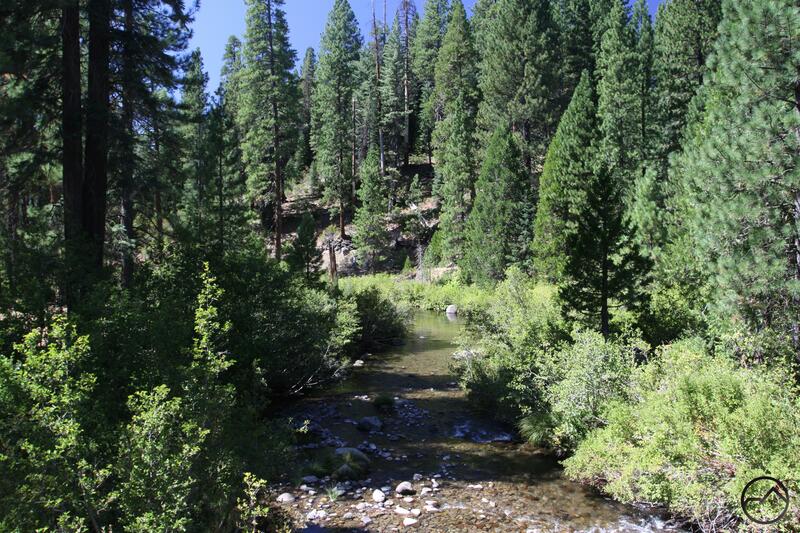 The easternmost section of the McCloud River Trail, this hike leads from the eastern trailhead to a primitive campground on a placid part of the river, set amid a mix of forest and meadows. Along the way, the trail passes through a shallow, scenic canyon. This area feels remote and indeed, sees little traffic. After exiting the canyon, trail and river entire a flood plain. The river maintains a steady flow though it does deviate from the trail, which stays above the highwater mark of the flood plain. Eventually the two reconvene and run parallel to each other through a tranquil area just prior to arriving at Nitwit Camp. 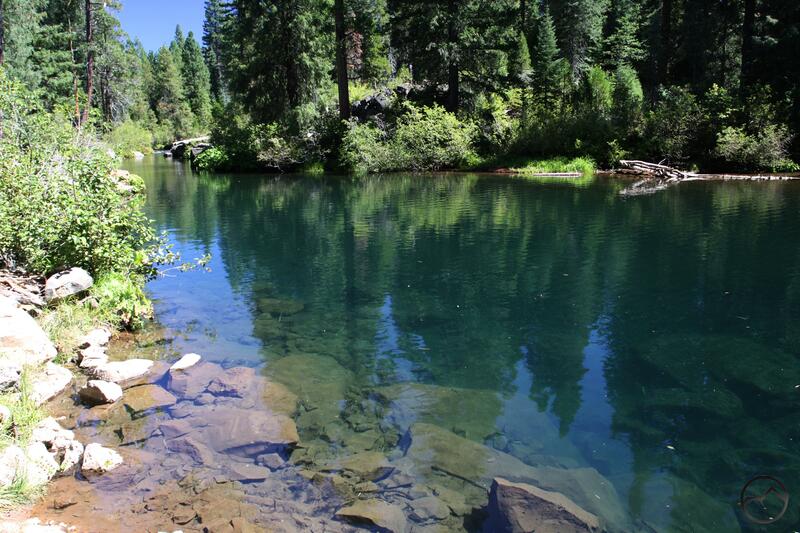 This remote section of the trail begins at one of the Mount Shasta area’s best swimming holes. After flowning through a small basalt gorge, the river hits more basalt dead ahead. This hard, erosion-resitant rock forces the water to the left, over an underwater dike. This leaves a perfect, deep, emerald waters in a beautiful place to enjoy some quality swimming. During spring the water level may be too high to safely swim here but in the summer it is perfect. Nonetheless, spring is the perfect time to enjoy the beautiful scenery. Be sure to head upstream a little bit to see the scenic little groge area. After that, follow the river downstream for several miles isolated river hiking along a swift moving section of the McCloud River. The hike ends at the group campground at Camp 4. This part of the McCloud River Trail follows the river briefly before veering away from the water to stay above the high water mark of another flood plain. This part of the hike lacks a lot of interest but once the trail crosses the road by Bigelow Bridge (a good, alternate trailhead), it enters a large, bayou-like area. This area was flooded by the construction of the small Lakin Dam, which created a small reservoir which as since silted in. The river weaves many paths through the silted area in a confusing array of channels. The trail follows along the fringe of this montane bayou before arriving at the Lakin Dam Picnic Area. The dam is not large or high and river pours over the top, forming a small waterfall. Downstream, the river passes through basalt flows and over rocks, moving at a much swifter pace than at any point so far along the McCloud River Trail. This is a particularly scenic area. The hike ends at beautiful Upper McCloud Falls, though the Middle Falls is an easy highlight to tack on. The obvious highlight of the entire length of the McCloud River Trail, this is one of the best hikes in the Mount Shasta area. Here the river is large and wide and swift-moving. The three waterfalls are dramatically different, each displaying the different ways water interact with rocks. The Middle Falls is the most impressive, but the other two do not lack beauty. This hike can be done in either direction but most hikers begin at the Lower Falls picnic area. The section from the Lower Falls to Fowlers Camp is paved and wheelchair accessible. Beyond that point, the path runs parallel to the river, ususally just a stones throw from the water. The approach to Middle Falls is dramatic and in the spring, when the falls are full, this is a powerful, humbling sight. From there, some switchbacks and stairs lead to the rim of the canyon. The trail runs along the rocky rim before entering a deep forest along a rugged section of the river before arriving at awesome Upper Falls. And excellent hike all the way around. ← First Trails For The New Book Completed!